On this page we will list some important planning application or road design decisions, particularly where they set a useful precedent. You may find other examples on other Local Issues pages. 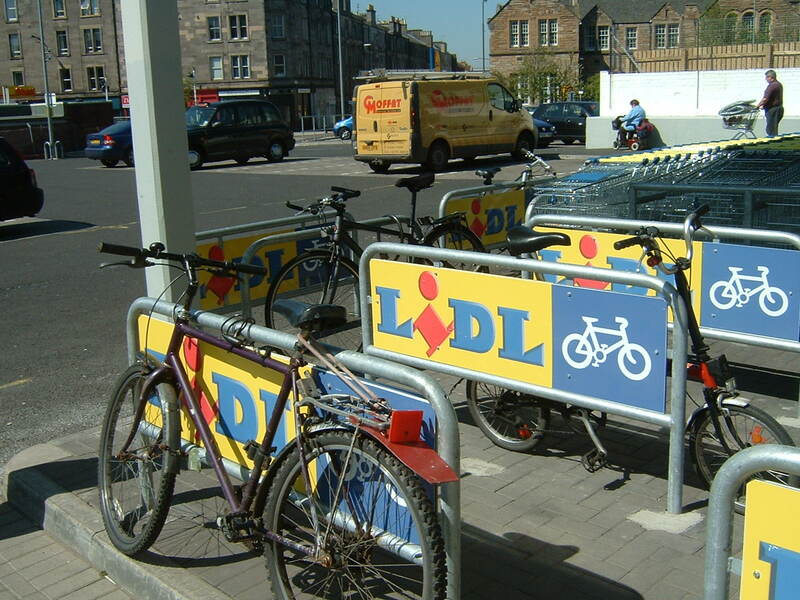 1412 Lidl Dalry Road bike parking In September 2014, Lidl without warning removed their existing bike parking in order to extend the trolley area. 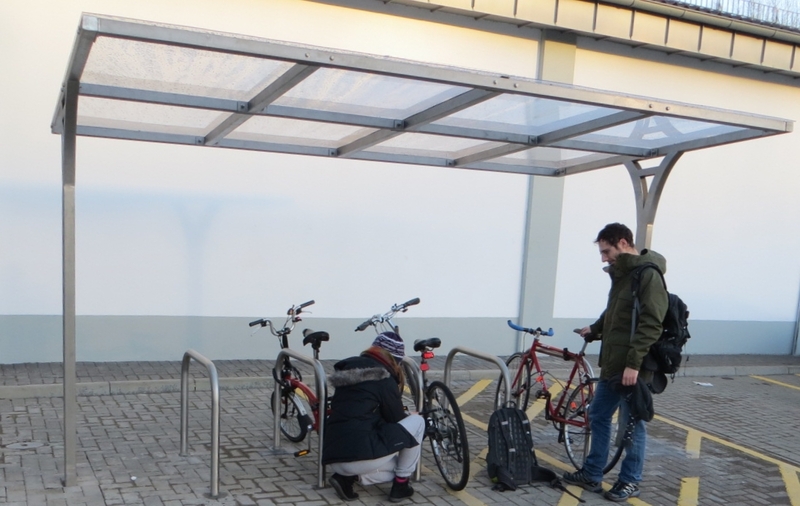 The parking had comprised well-spaced Sheffield racks, under cover and near the entrance – perfect. Rather than just complain to the manager we used google to find email and twitter addresses of Lidl HQs in the UK and Germany, as well as the local area administration. Our tweets were usefully retweeted by other users. Soon we had promises of action tweeted from Lidl UK and emailed from the area management. On request we were also sent the plans in advance. The result is excellent. This illustrates the approach of publicising and embarrassing as widely as possible, which seemed justified in this case given the overnight disappearance of the previous parking. Another approach [which we might have used if this had failed] would have been to check out the original planning permission and try to persuade the council planners to act. 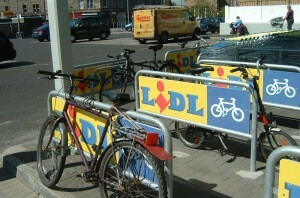 Incidentally, in 2007 Spokes had also contacted Lidl area management because the bike parking at that time was very poor. The person in charge at that time was very sympathetic and the ‘Lidl’-branded Sheffield racks were installed. A year or so later, the signs were removed without warning [admittedly they had been too big, making it tricky to use some bike locks] but the racks themselves remained until the above events in late 2014. 1401 GrantonHarbour application 13/04320/AMC Outline map [pdf 1.8MB] Planning Decision [doc 1.2MB]. We had asked for a high quality cycle route along West Harbour Road/ Lower Granton Road, linking to the existing and proposed Cramond-Joppa coastal route at either end. The Council’s decision [See Condition 6] requires a 4m wide cycletrack which gives priority for cyclists and pedestrians over side-road traffic. [There is no segregation between peds and cyclists as the entire coastal route is shared use, but the side-road priority decision is a great precedent for other sections and for other proposals around the city].